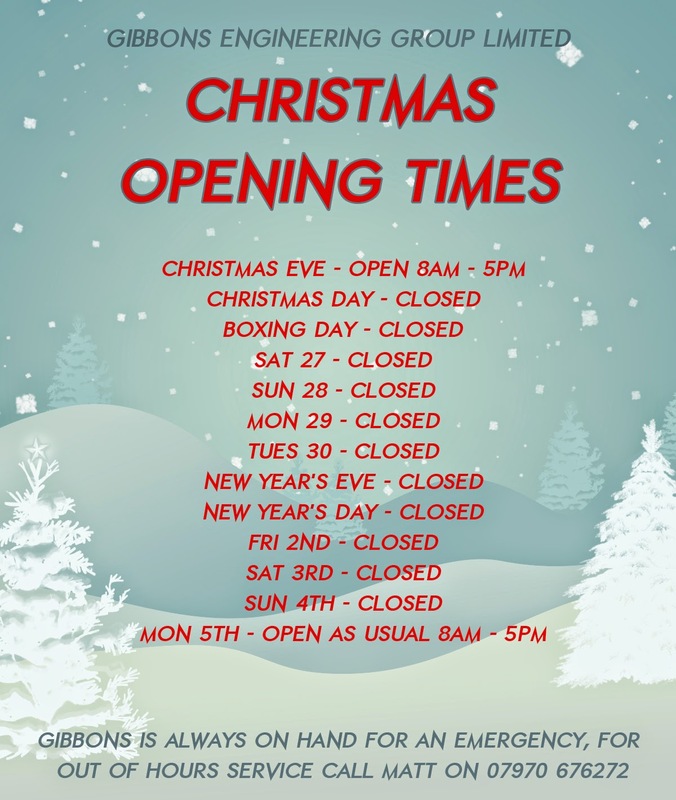 As another busy and successful year here at Gibbons Group draws to a close, we’d like to notify you of our Christmas shutdown dates. From the workshop to the office, we’ll all be taking a well-earned break from close of business on Wednesday 24th December. Don’t worry, though, we’ll be back with our batteries fully recharged at 8am on Monday 5th January ready to provide our ever-expanding range of products and services throughout 2015. So there’s still time to get your enquiries in before Christmas – just give us a call on 01621 868138, email info@gibbonsgroup.co.uk or visit the Gibbons Group website to browse all our divisions, including Electric Motors, ABB Variable-Speed Drives, HVAC services and Humidification.